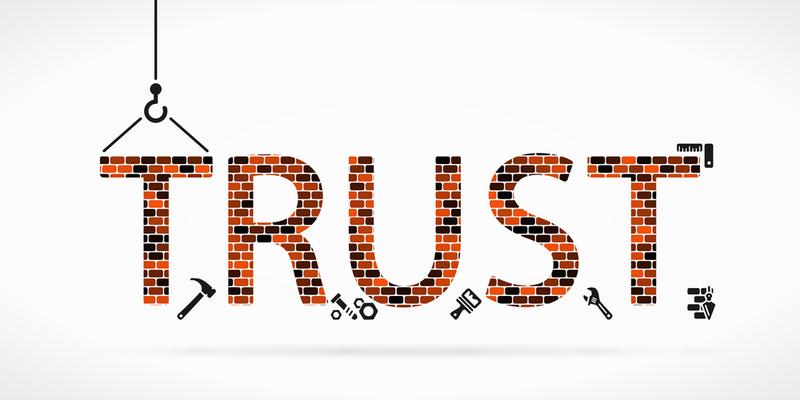 Your business needs to build trust with content marketing. Consumers are swamped with advertising messages across every medium, and you need a way to differentiate your business from the herd. Below are some tips on using content to create value, trust, and a return on investment. Everything worth doing is worth tracking. Set up a target market, a timeline, and a goal to focus the creation and delivery of your content. This will allow you to produce ROI figures and let you make slight adjustments to your content depending on how the target market is responding to it. Even though the consumer will never see these efforts giving them timely, targeted content is a valuable service and will go a long way in your efforts to build trust with content marketing. One of the first rules in sales is that you can’t sell what you don’t believe in. The same holds true for promoting your content. Before you send out something you’ve created, make sure it truly creates value for your target audience. Sending out promotions disguised as valuable content will quickly backfire and cause your audience to view your future content as just spam promotion. To build trust with content marketing make sure you’ve created real value in the form of entertainment (see Red Bull’s Stratos Space Jump) or knowledge. When your target consumers start engaging with your content, you need to be there. Consumers will have questions or want more information, and connecting with your business should be simple, intuitive, and fast. The more you encourage this discourse, the further your message will spread and the faster you’ll build trust with content marketing. Your efforts in this step, as in step one, will never be seen by your consumer. It is, however, a vital step to build trust with content marketing. If some of your efforts are going largely unnoticed by your target consumers, end these attempts and focus the time and money at content that is working. Over multiple iterations consumers will see more value in your content and you’ll build more trust in less time with your target consumer base. A customer that trusts your company does not need your organization to prove itself. The customer is already sold on your company’s mission, and they trust that your company will be able to solve their problems when they arise. When that customer, and many others, step up to ask your business for help solving those problems, you will begin to see the immense value created by your efforts to build trust with content marketing. © WovenText Inc. 2009 – 2018 All Rights Reserved.